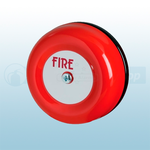 Available from Fire Protection Shop are a range of conventional bells that includes the Fulleon CFB6D24 152mm (6") Conventional Electronic Bell which has a low current consumption, simple installation and a multi-fixing base plate. The Gent 74430-NM 152mm (6") Conventional Electronic Bell and Gent 74432-88NM 152mm (6") IP55 Conventional Electronic Bell is an electronic bell that is ideal for a variety of applications. 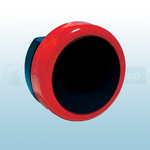 The bell is in a red metal casing and is compliant with EN54-3 and is suitable for semi flush and surface mounting.